What do SLS Free Hygiene Products Consist of? As people become more aware of the potential health implications of Sodium Lauryl Sulfate, the demand for SLS free products such as SLS free toothpaste, soap and shampoo has increased. The increase in demand will continue as we become more aware of the potential health implications. Today, there are plenty of SLS free brands available in the market which might not be as foamy as your regular toothpaste or soap for example but are generally considered just as capable and obviously far less harmful. For example natural toothpastes help to prevent bad breath, prevent cavities and tooth decay just as well as non SLS free brands. The other benefit of using SLS free brands are the benefits for the environment. For instance baking soda is a well known cleaning agent which has no harmful impact on the environment. This is especially important when you consider where most shampoos, soaps and toothpastes end up once they get used. Aloe Vera: Known for it’s medicinal purposes and used for many years (almost 6000 years to be exact dating back to Ancient Egypt where it was known as the plant of immortality). It has long been known for it’s soothing properties, particularly useful in treating burns. 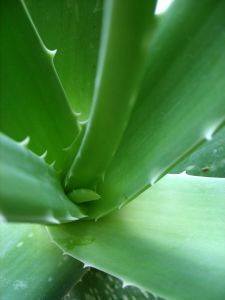 Aloe Vera Gel can be found in literally hundreds of healthcare products. Clove Oil: Clove Oil has long been known as a natural remedy for tooth aches and tooth pain. It’s known to possess both analgesic and antibacterial benefits. 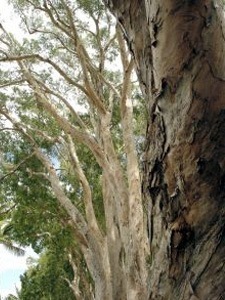 Eucalyptus Oil: Native to Australia, it’s known for its colorless liquid and permeating smell. It’s used in a number of health related products for treating flu and cold symptoms. It’s also known to stimulate the immune system and is used to treat infections, particularly in wounds. Myrrh: Myrrh has been used since biblical times and is a natural gum. Used for hundreds of years in perfumes and incense. Plant Extracts Essential Oil: The essence of the plant that it’s extracted from, often used in cosmetics and soaps. Tea Tree Oil: Very strong smelling and known for its effectiveness against infections, it possesses both anti-fungal and antiseptic properties. Derived from the Tea Tree. It’s often used for treating acne and other skin conditions. Baking Soda: While traditionally used for thickening baking goods, it’s also a well known and established cleaning agent. *These herbal or natural products do not contain artificial or synthetic flavors. Due to increased health awareness, natural or Sodium Lauryl Sulfate free hygiene products are currently in greater demand. For example many of the major toothpaste brands are producing SLS free toothpastes. Some SLS free hygiene products are also certified as organic. Christina Moss Shampoo 8 oz. Jason Sea Fresh Toothpaste 6 oz. Christina Moss Naturals Moisturizer 1.5 oz.